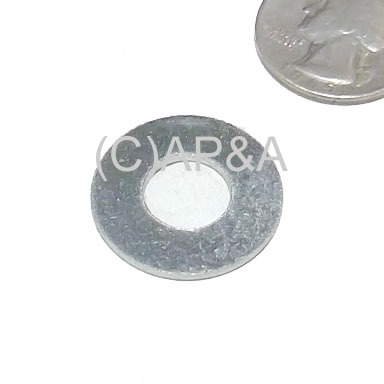 Large steel zinc-plated washer with 3/8-inch inner diameter. As used for backbox mounting bolts in most makes/models of games. Can also be used behind heads of leg bolts on older games such as woodrails, etc. that used leg bolt washers.